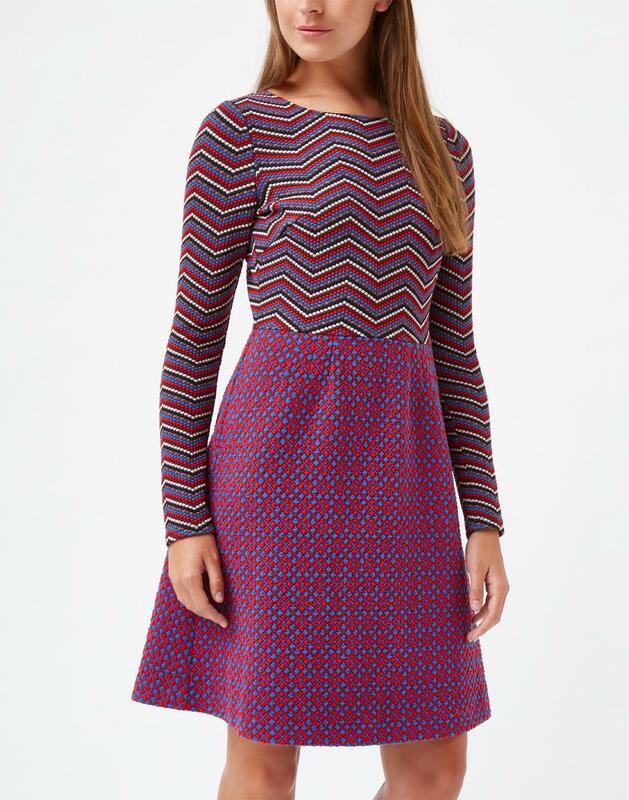 Double Take retro 60s mod dress by Traffic People. 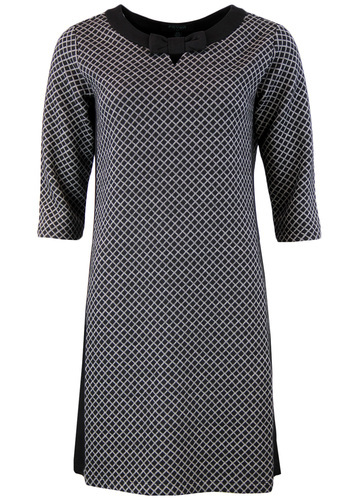 Featuring complimentary retro geo patterns to give a top and skirt effect, this comfy stretch jersey dress is flatteringly cut in a 60s style fit and flare shape and long sleeved for autumn and winter. 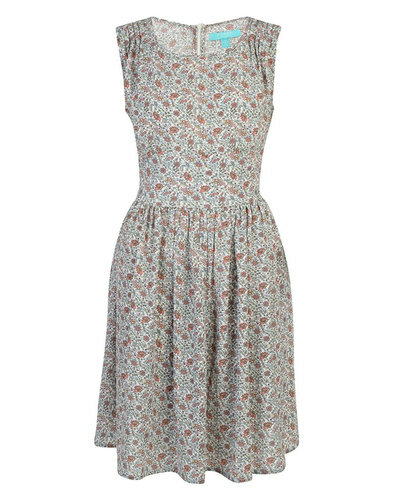 Pair this fab bold dress with coloured tights and heels for a 60s mod look. 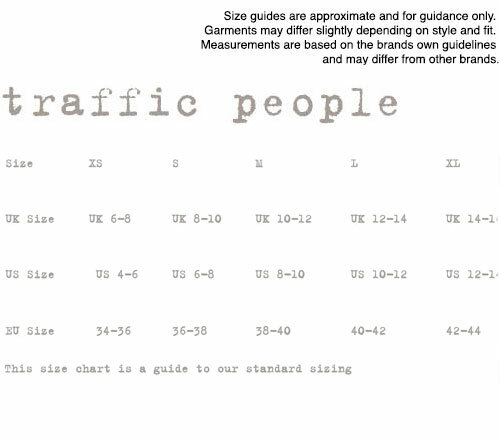 - Traffic People retro 60s mod skater dress. - Detailed and intricate multi coloured geo pattern. 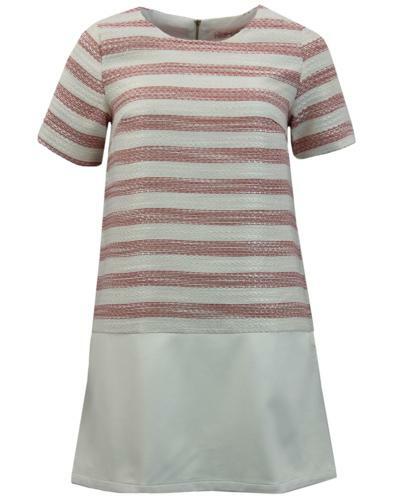 - Contrasting pattern top and skirt. 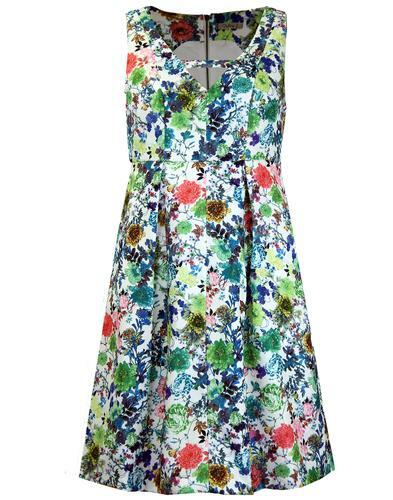 - Fit and flare mod 60s shape.